Security is vital to any business, and by correctly guarding any equipment or tools that have to be stored outside, you can considerably lessen the chances of burglary from your property. 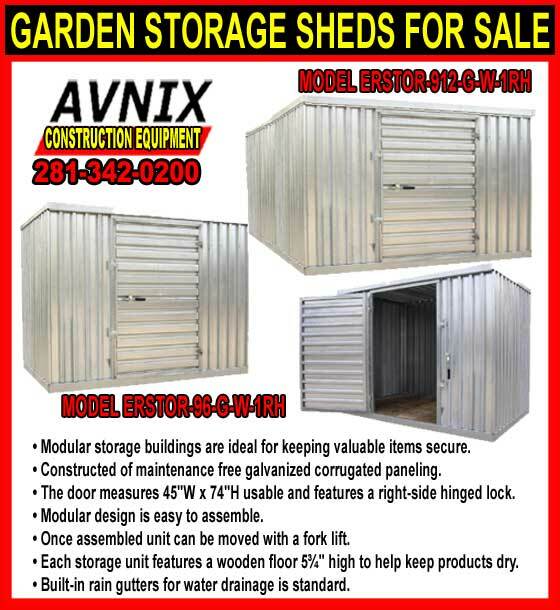 With the variety of storage sheds offered by Avnix, you will be able to obtain a secure and spacious prefab storage shed that can be used for a wide assortment of different applications and can make available extra space that your business may need. Modular storage sheds are ideal for keeping valuable items secure. Constructed of maintenance free galvanized corrugated paneling. The door measures 45″W x 74″H usable and features a right-side hinged lock. Once assembled shelter can be moved with a forklift. Each storage shed kit features a wooden floor 5¾” high to help keep products dry. When selecting an outdoor storage shed, it is key to think about how big the shed needs to be. For the majority of businesses, space is always at an issue and buying a storage shed that is bigger than your requirements could result in a large area of otherwise useful property being taken up by a less than full shed. At the same time a storage shed that is too little for your real needs is also dangerous, and may result in your company having to devote a comparable amount of money again later when it becomes apparent that you need to buy another storage shed to contain the over-spill of goods from your main storage area. An additional chief worry for any company looking for an outdoor storage shed must be the value of protection that the storage building provides from the environment. 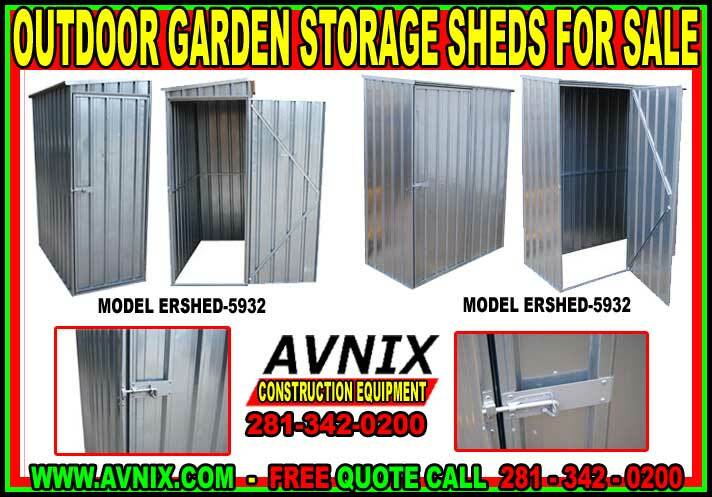 If your company plans to use the shed to keep any tools, equipment or metal goods safe, then it is vital to avoid rain from getting into the shed, as this can cause rust on the equipment being stored, and will prove to be a very costly occurrence in the long run, as all of the expensive equipment will need to be replaced. In addition to the weather proof walls and the dimensions of the storage shed, actual physical security is essential. If it is being used to guard costly equipment, your storage shed will need to be able to survive the possible attack from criminals, and needs to be locked and have sturdy doors that cans stand up to criminals. Selecting a prefab storage shed that is manufactured to a high enough standard to address the variety of needs of your company, as well as being completely weatherproof and big enough to hold all of the equipment & tools that you may want to store. In order to meet the needs of business, we offer a variety of different storage shed designs to select from. 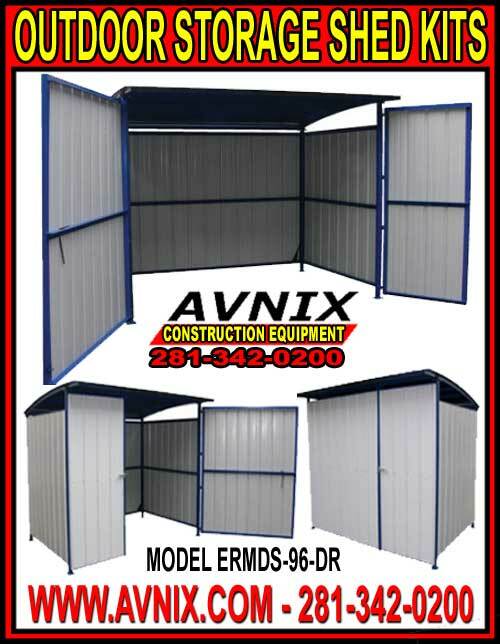 Avnix use of steel construction throughout the design method, and providing a powder coating for long lasting protection against the elements, these prefabricated shed kits are designed to stand up to the toughest weather and punishment that mother nature can thrown at them.